We have come together as Family and Friends to pay tribute to the life of Thomas Deon “TD” Franklin. Thomas Deon “TD” Franklin son of Patricia A. Livingston and Alexander Glivens was born June 23, 1989. He received his formal education in St. Matthew and Orangeburg School District. Thomas was affectionately known as “TD”. He was a fun, down to earth loving and caring person who loved life. His smile and personality left permanent impressions on all he came in contact with. Thomas was employed by Husqvarna Outdoor Products in Orangeburg, SC. On Monday, September 3, 2018, at Palmetto Health- Richland in Columbia, SC. Thomas Deon “TD” Franklin entered into eternal rest. He will truly be missed by those who knew and loved him. He leaves to cherish his unforgettable memories: his loving daughter, Iyanna Franklin of Orangeburg, SC; his loving mother, Patricia Ann (Vernoy) Livingston of Orangeburg, SC; father, Alexander Glivens of Atlanta, GA and Gerald Davis of St. Matthews, SC; grandmothers, Geraldine (Nathaniel) James of Norfolk, VA, Gladys Davis of St. Matthews, SC and Bennie Mae Franklin of Orangeburg, SC; four sisters, DeAndra (Travis) Wolley of Orangeburg, SC, Alexis (Alvin) Mitchell, A’Miyah of GA and Jyianni Glivens of Greenville, SC; five brothers, Micheal Allen of Philadelphia, PA, Tyrese, KeVon, J’Corey Glivens and Dashoun Mumford of GA; six nieces, Yasmine, Ty’Era, Aubreona, Keyonia, Brionia all of Orangeburg, SC and Kiarra of Nebraska; nephew, Aubrey of Orangeburg, SC; aunts, Deloris, Ruby, Bertha all of St. Matthews, SC, Lucy and Dorothy both of Chester, PA; uncle, Sammie Mosley of St. Matthews, SC; god mother, Beverly Benjamin of St. Matthews, SC; special brothers, Timothy Franklin and Antonio Davis; special friend, Alexus Blocker and a precious bundle on the way; 4-Hole 139 family; along with a host of relatives and friends. 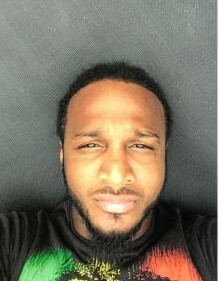 Thomas Deon "TD" Franklin, 29, of Orangeburg, SC died Monday, September 3, 2018. He was the son of Patricia A. Livingston and Alexander Glivens. Visitation was held from 4-6 pm on Sunday, September 9, 2018, at Jones Chapel Baptist Church in Orangeburg, SC. Funeral services will be held at 3 pm Monday, September 10, 2018, also at Jones Chapel Baptist Church. Allen Funeral Home of Walterboro in charge.